How Can You Help the Wine Country Recover? Come Visit. As we slowly begin to recover from the tragedy of the wildfires that struck our North Bay communities, we want to take a moment to reflect on how the community pulled together and how average citizens can help the region’s economy get back on track. Over the weeks that the fires raged in our beautiful Wine Country, the unbelievable sacrifice of the first responders — firefighters, police, the National Guard, and even Pacific Gas & Electric Company — and the multitude of individual heroes that saved so much for so many cannot be acknowledged or thanked enough. It was, and is, a testament to the human spirit. The evidence of the appreciation expressed by the residents of both Napa and Sonoma counties is everywhere. Businesses have posted signs of gratitude; posters hang from telephone poles, trees, and fences surrounding properties; and elementary-school students have created artwork as tokens of thanks. While both the physical and emotional recovery will take time, the fortitude and character of the people here is tangible. Countless stories of local businesses and individuals that offered goods and services to evacuees and first responders abound. Hotels and inns gave shelter at no cost, and restaurants fed displaced residents in shelters, as well as firefighters, police and utility workers — sometimes for 72 hours straight. In fact, first responders called it the “10-pound fire” because they were so well fed by the locals. It is hard for any of us who came through this ordeal without losing our homes or sustaining property damage to fathom the toll it has taken on those that did. Lenders, insurance companies, and Napa and Sonoma counties are all taking steps to alleviate some of the challenges that affected residents will face. Lenders are providing forbearance of payments, insurance companies are issuing living-expense checks quickly, and counties are reassessing properties for tax purposes to try and get revised bills out before the next due date. Both Napa County and Sonoma County have established websites to assist residents with next steps, including debris removal and cleanup, permitting processes, Federal Emergency Management Association filings, and more. So many people continue to ask how they can help. The answer: Visit the Wine Country. There is a media misconception that the region is decimated. The truth is that most hotels, inns, restaurants, wineries, and other hospitality venues are open and ready to welcome all. The Wine Train in Napa is running, the Luther Burbank Center for the Performing Arts in Santa Rosa will reopen its doors on Nov. 6, and two hot-air balloons trailed across the sky as I drove to work late last week. Autumn is one of the most beautiful times of the year — but especially here in the Wine Country. The air has cleared, the weather is spectacular, and the restaurants and hotels may not be as crowded as they usually are this time of year. Truly, there is no better time to visit than now. While a fair amount of housing was affected by the fires, the majority was not, and while a fair number of trees burned, the majority did not. 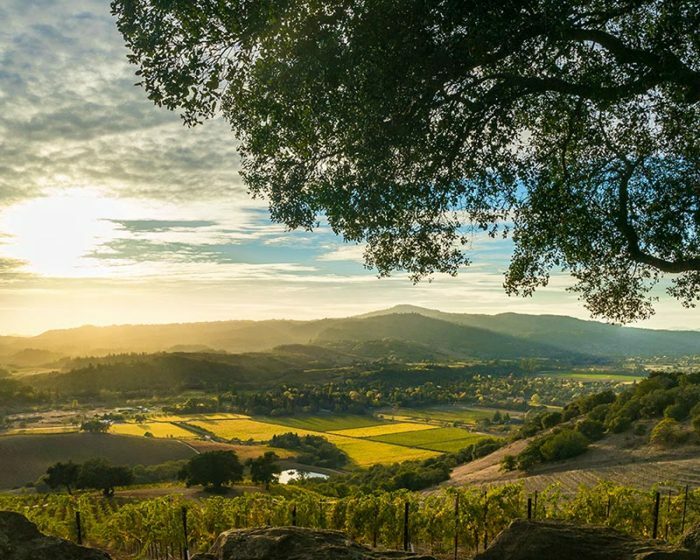 The Wine Country is open for business and pleasure, and we’d love to share a glass of wine with you. Jill Silvas is Pacific Union’s Sonoma Valley regional executive and vice president of the company’s relocation services business. She has more than 30 years of experience in real estate sales, management, and relocation services.